TUI Airways CEO Kenton Jarvis has commended his 'hard-working crew' after joining them up in the sky to serve holidaymakers on a flight to Tenerife. Jarvis joined the crew of a 787 Dreamliner aircraft flying from Gatwick, where he served drinks, handed out duty free and helped guests stow their overhead luggage. 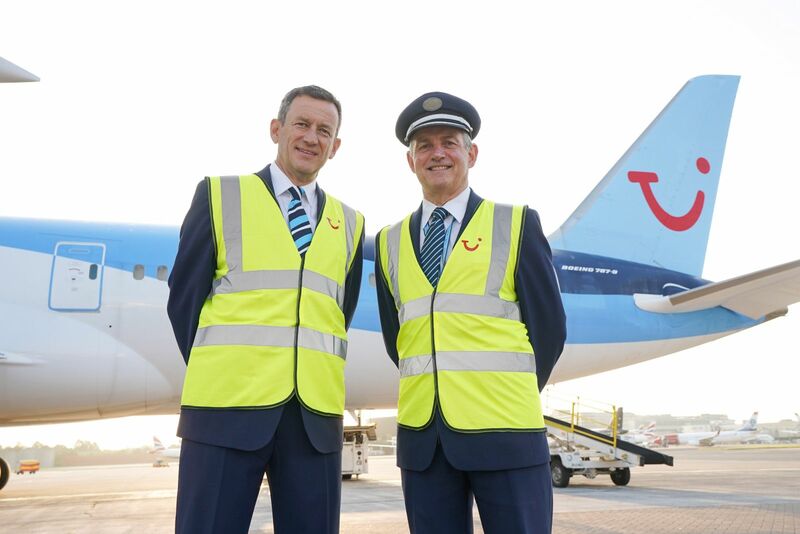 The flight was captained by TUI Airways managing director John Murphy (pictured with Jarvis, below), who is an active 787 Dreamliner pilot. He regularly flies guests to their holiday destination and has himself recently worked as cabin crew for the day. 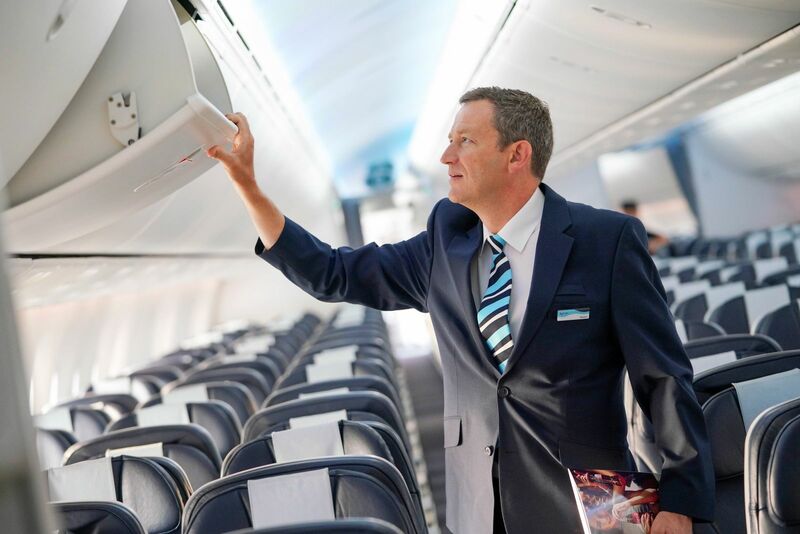 The 'up in the sky' initiative is a follow on from TUI's long-running 'back-to-the-floor' programme, which sees directors spend time in the company's retail stores each year. Kenton said: "It's important to remind yourself of other integral areas of the business and get involved in the day to day operations of our company. "The experience reminded me just how hard our crew work to ensure our guests have the best start to their holiday and discover their smiles."